Are you planning on adding livestock to your Arkansas farm in the near future and looking for barn options to accommodate animals? Do you have an old barn that is falling apart and needs to be replaced? Deer Creek Structures provides Arkansas residents with portable barns in a range of different sizes that can be scaled to meet your property’s needs. You can have portable barns delivered directly to you and set up on your land in a matter of just weeks. 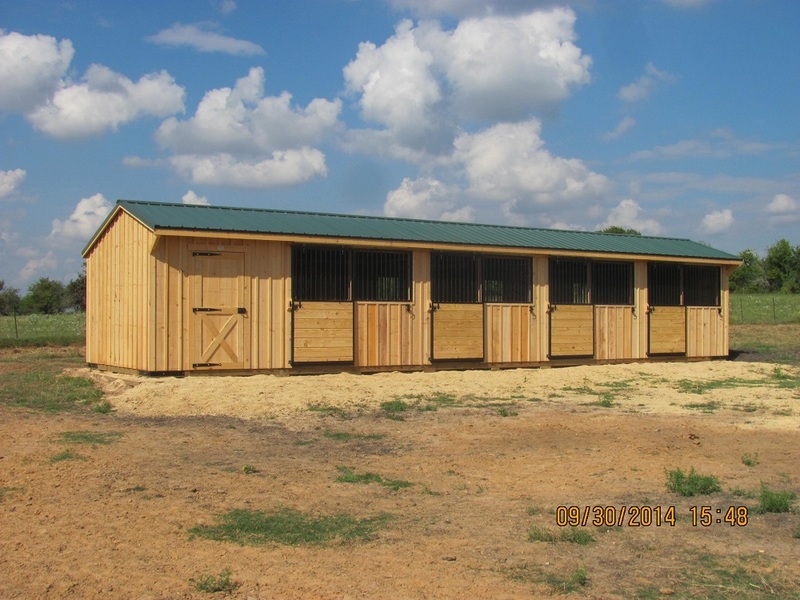 Plus, with Arkansas portable barns, you will be able to house any livestock – goats and sheep, horses, cattle or anything else – and more easily protect them from the elements at all times. Deer Creek Structures takes great pride in providing the best portable barns on the market. 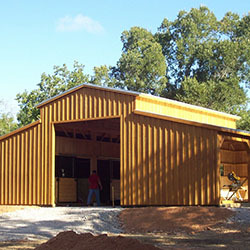 In addition, Deer Creek Structures offers on-site construction for Arkansas portable barns and staining and sealing services, as well. 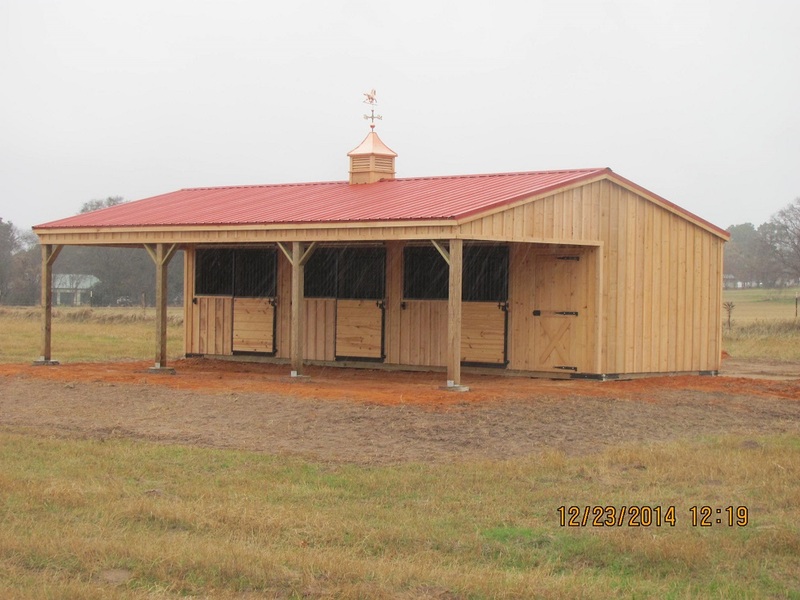 If you have been thinking about adding a new portable barn to your Arkansas property, now is the time to do it. Call Deer Creek Structures at 254-546-2276 today to find out more about the portable barns that are available or to place your order. All portable barns produced by Deer Creek Structures come with 30-year architectural roofing shingles on them, meaning you won’t have to worry about replacing your roof anytime soon. The portable barns also feature cypress board and batten siding that will hold up in any weather and keep your barn cooler in the summer and warmer in the winter. Additionally, portable barns from Deer Creek Structures include kickboards and roof decking overhangs as well as 5/8-inch plywood flooring. 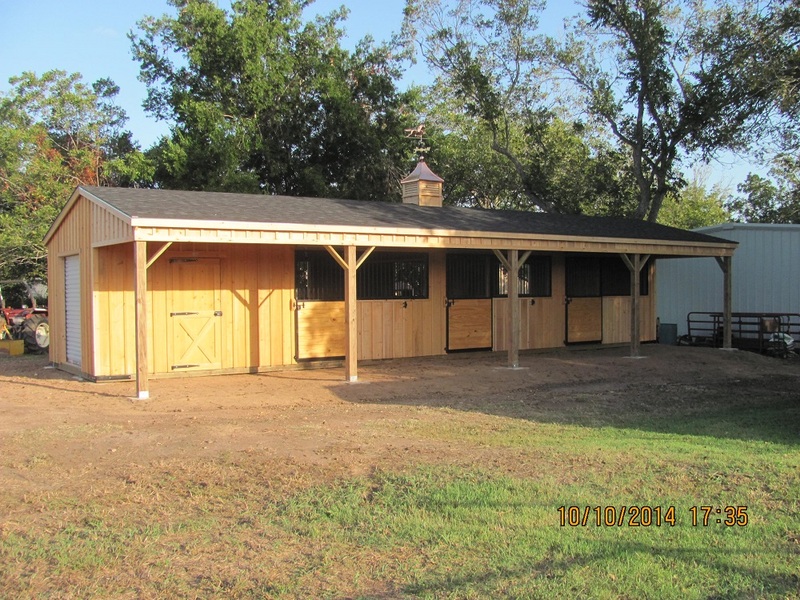 Regardless of what kinds of animals you plan on housing, you can order a customized portable barn from Deer Creek Structures to meet the exact needs you have at your Arkansas property. Although this is technically the smaller of the two options, you won’t have any trouble fitting plenty of livestock inside of one of these 10-foot portable barns. You can also customize these portable barns before having them delivered to make them more functional for your farm. By customizing your portable barns, you can make them work better for you. 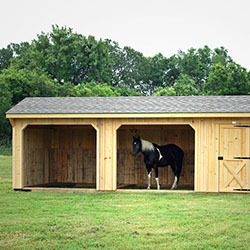 Barn sizes start at 10 x 10 feet, but can be tailor-built up to 10 x 50 feet in size. For those looking to provide their livestock with a little bit more room in their portable barns, there are also 12-foot portable barns available. These portable barns can be used to protect your animals from the weather, and you can make them as large as you’d like in order to fit all of your livestock. 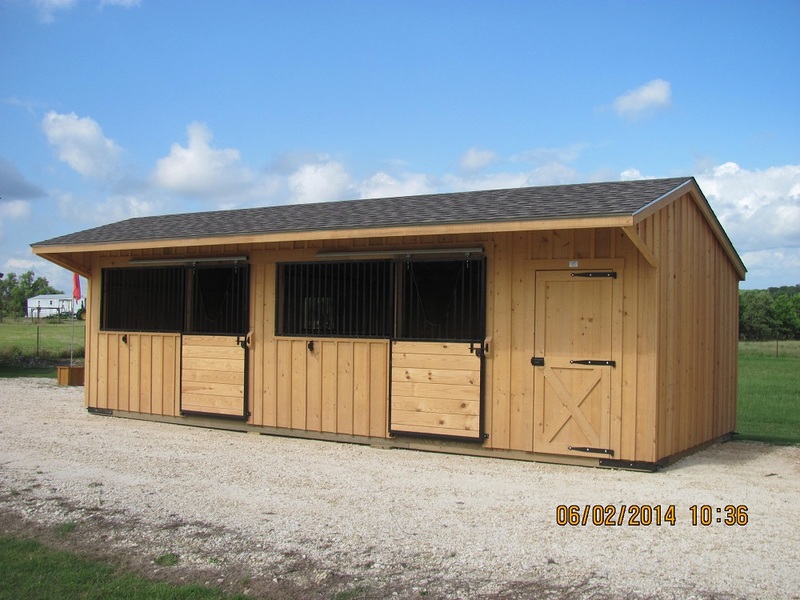 They come with a bunch of standard features but also have additional options for those who want to customize their barns, and can be built out to as large as 12 x 48 feet.